Esie is committed to bringing a new fresh genre of dance into the industry. 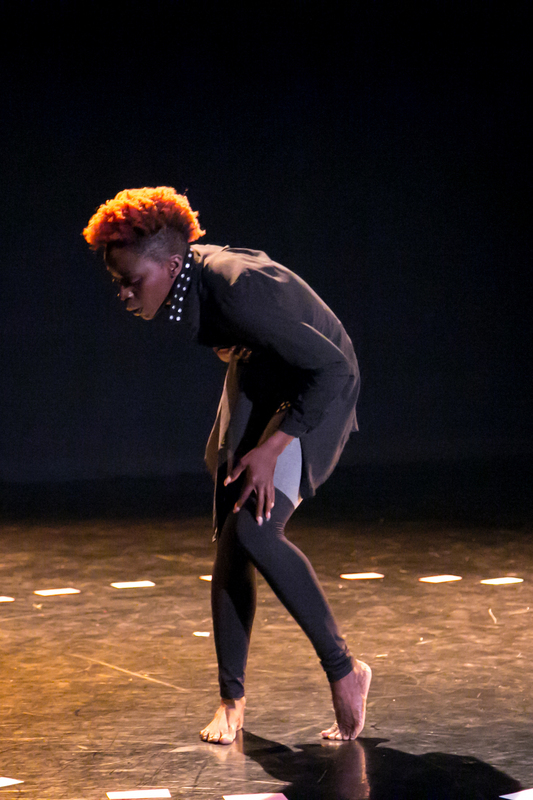 Afrofusion is her own unique style of dance that includes movements from Traditional and Contemporary African, Commercial, Urban and Contemporary styles. Expanding her abilities, Esie has produced several productions; Shades of Blackness, Zayo and the original play called Akoma which is a dance/ theatre production that premiered in 2015. An excerpt of the production travelled to Birmingham, UK in November 2016 for the One Dance UK conference for Africans of the Diaspora. Recently, Esie was featured on Daily Vice with Congolese- American artist Young Paris discussing Afrobeat music and movement. Esie and Vice director Alexis Wood shot a short documentary surrounding her recent work, Shades of Blackness. It speaks about the issue of shadeism within the black community and several communities of colour. “Dancing with Shades” will air on the “Exhibitionists” on CBC in February. Esie was the movement designer for 1837: Farmer’s Revolt directed by Philip Akin for the 57th season of Shaw Festival. Esie Mensah dancer/choreographer/teacher/model was named 100 Black Women to Watch in Canada in 2017, 2015 recipient of the Cultural Promotion award from the Ghanaian-Canadian Association, and 2014 Black Canadian Award Winner for Best Contemporary Dancer. Esie and her company The Black Stars were recently on stage with French Montana on Live with Kelly and Ryan in Niagara Falls. Esie has worked with some of the industry’s biggest icons such as Rihanna, Drake, Janelle Monae, Nelly Furtado, Flo Rida, as well as Coca Cola, Luminato, TIFF, Estée Lauder, FIFA, WE DAY and more. Esie was the co-choreographer for “Panamania” Victory Celebration as apart of the 2015 Pan Am Games entertainment. Choreographer of the CHFI commercial “Mornings are a little different” for the Erin and Darren show. Featured dancer in the 2016 FOX TV remake of Rocky Horror Picture Show “Let’s do the time warp again” featuring Laverne Cox and Adam Lambert directed by Kenny Ortega and Lou Adler.